LICHENS & VIOLETS Very soft hand painted 3 ply 250 yard skein of wool yarn from our farm. Free domestic shipping. 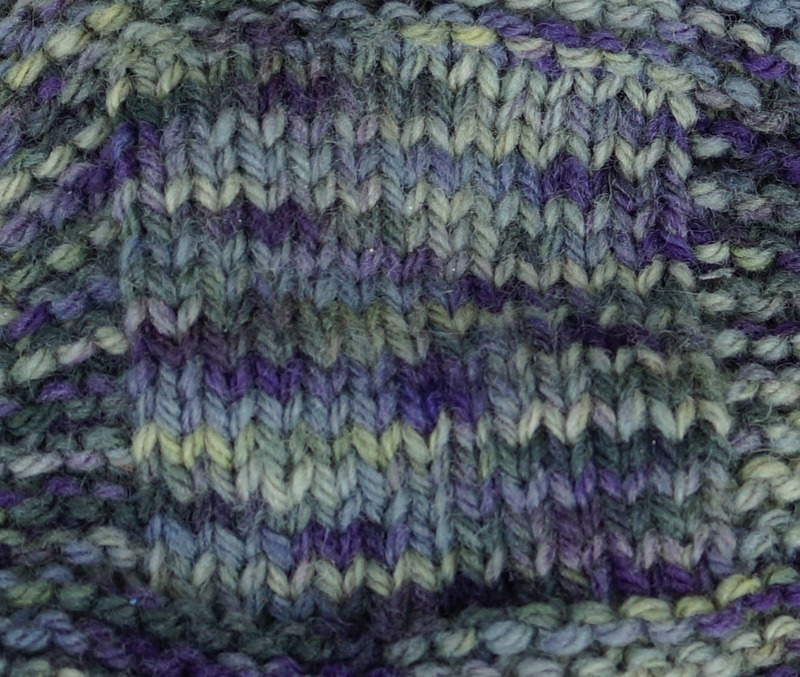 Hand painted/dyed yarns have natural variations in shade. No two skeins are exactly alike. Background color is a pale olive green with violet highlights. Gauge 5 sts/inch size 7 [US] needles. I shear my sheep and wash the wool prior to bringing it to Green Mountain Spinnery VT then dye it and wash it again then it's ready for you. We belong to the Pride of NY Program and are licensed to use the American Wool logo. **Visit us at www.generalbaileyfarm.com for much more!